I’m really chuffed to have Doug Johnstone as my author in the spotlight today. Doug has written eight novels, several of which I have read and reviewed on the blog. I first came across his work when I read Gone Again, which is set right here in Portobello, and have been to a couple of his book launches. 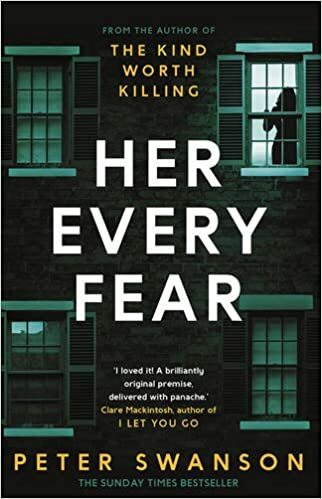 I have to say, I am very intrigued by the sound of his next novel also set in and around Portobello – find out more about that below. His latest novel, Crash Land, was published by Faber in November and is a terrific read, even for someone like me who is not fond of flying. You can read my review of that here and order a copy online here. Thanks so much for agreeing to take part Doug. First of all, would you tell me a little about yourself? I grew up in Arbroath and now live in Portobello in Edinburgh. I studied physics at university, then I was a systems engineer designing radars, then I was a music journalist, then I was an author. I’m also a musician and singer songwriter, and I’m player-manager for the Scotland Writers Football Club. I’ve had eight novels published and there are a bunch of short stories in various places. I was always writing, I think. Stories for my own amusement, mostly. I loved Scottish fiction about people I recognised – writers like Iain Banks, Irvine Welsh and Alan Warner. I wanted to portray the world I saw around me, one that I didn’t see adequately represented in literature. I wrote stories for years, submitted them to competitions and anthologies, never heard anything back. In 2003 I started my first novel, The Ossians, with no clue what I was doing. It got rejected by everyone I sent it to, 25 publishers, over 50 agents. But a couple rejected it quite nicely, which was enough of a kick up the arse to keep going. I wrote another novel, Tombstoning, and they both offered to publish it. I’m still quite amazed by that, really. I went back and re-wrote The Ossians from scratch, and that was my second novel. 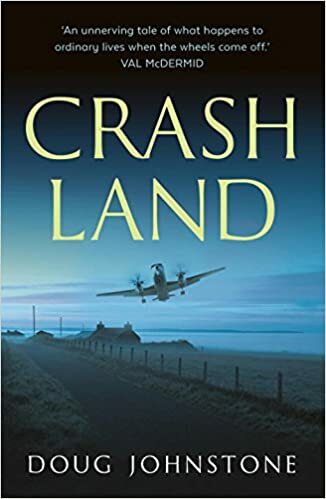 CRASH LAND is a thriller set in Orkney that starts with a plane crash and gets much worse for everyone involved. It’s about lust and guilt, mostly. For that one I had a few ideas kicking around. Originally it was called AFTER THE CRASH but then a French thriller came out called that. They there were a couple of other titles before I landed (so to speak) on CRASH LAND. It works on a couple of levels, and conveys the catastrophic events pretty succinctly. This is my eighth novel, and I have a bit of a tradition of just going down to Porty beach and looking at the sea for a bit. When I was unpublished and had a new family and financial and other pressures and wasn’t really sure what I was doing with my life I used to go there and think about things. It’s a kind of meditation without actually meditating, I guess. Anyway, I go down to the beach and just feel thankful. Yeah, I’m just finishing up the next book. It’s called FAULT LINES and is set in a slightly alternate Portobello and Joppa, where Scotland is rife with earthquakes and there’s a new volcanic island in the Firth of Forth. I know, sounds nuts. At heart it’s another nerve-shredding thriller, hopefully. 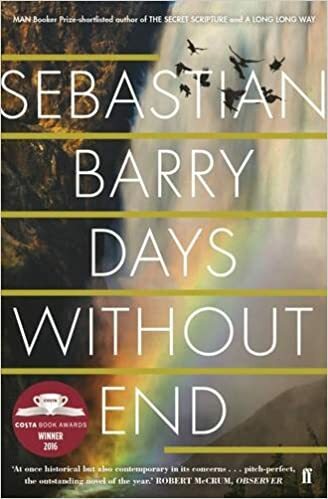 I just read Sebastian Barry’s Days Without End which I thought was terrific. A really weird Wild West thing, cowboys and Indians, American Civil War, lots of cross-dressing and violence. Hard to explain, but a superb narrative voice! Her Every Fear (Jan 2017) by Peter Swanson. He’s a brilliant American thriller writer, sort of in the Patricia Highsmith mould but bang up to date. This one is about a house swap that goes disastrously wrong. Loving it so far. 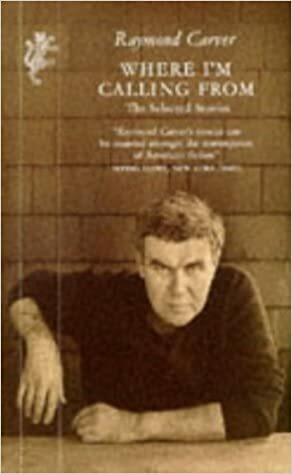 Probably Where I’m Calling From, the collected Raymond Carver stories. I could re-read them forever. Any of Megan Abbott’s books would be great as movies. I think a couple of them are in production, actually. She mostly writes about teenagers or young women, so someone like Jennifer Lawrence or Emma Stone would be perfect. I’m on Twitter @doug_johnstone, I have a website I blog on www.dougjohnstone.com and I’m sure you could find me on Facebook too. 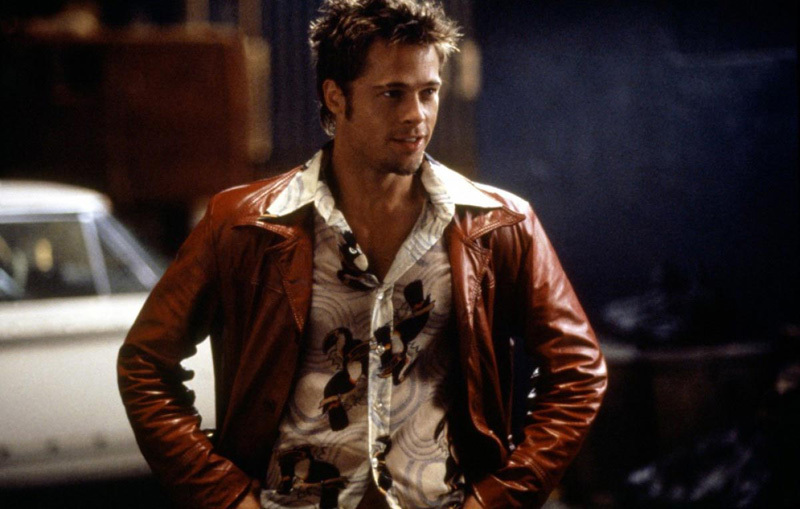 Tyler Durden from Fight Club, then I could punch myself in the face in public with impunity. Great interview – I haven’t read any of Doug’s books yet, but this has whetted the appetite. Did he join in the Porty New Year swim last year ….? !